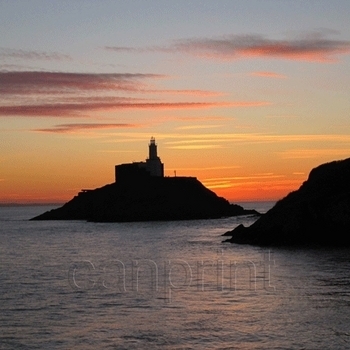 Sunrise at Mumbles Lighthouse a beautiful Image. 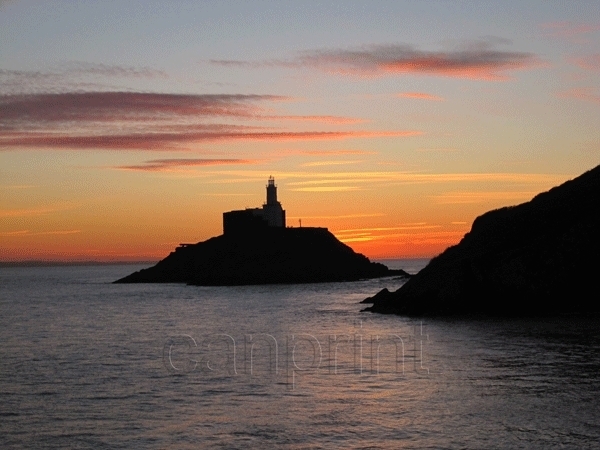 Mumbles Lighthouse (completed in 1794) is a lighthouse located in Mumbles, near Swansea. The structure, which sits on the outer of two islands off Mumbles Head, is clearly visible from any point along the five mile sweep of Swansea Bay. Along with the nearby lifeboat station, it is the most photographed landmark in the village.